Competitions are always fun - here is one to inspire developers into IoT. 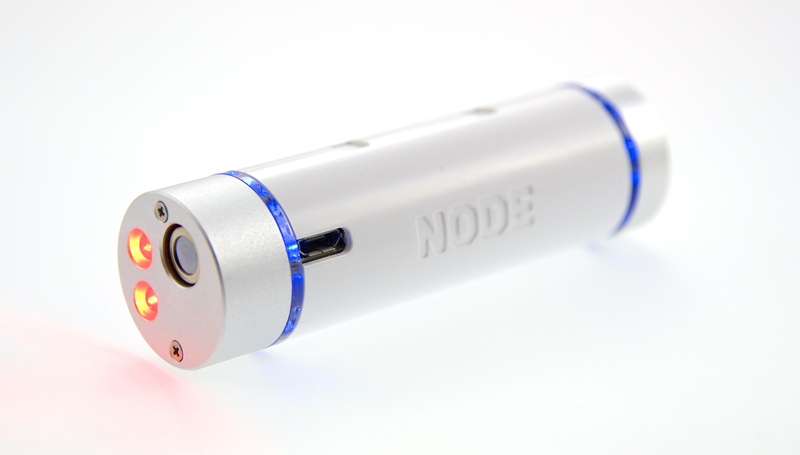 Node+ is a wireless sensor platform for mobile devices that has interchangeable tips that can change the type of information it can read and sense. Variable, Inc is hosting a IoT mobile application challenge called HACKANODE 2014 where developers are inspired to create applications for the platform for cash prizes (total of $16,500 USD available). The competition is open until September 24, 2014 - of course the challenge of hardware specific competitions is the dependency on hardware itself. The great news is that they are offering developers access to a NODE+ by simply emailing Alex Lavidge requesting a loan agreement - the best part is you get to keep the device afterwards. While the device seems to be more of a handheld operated device paired with a smartphone (also, seems only one tip at a time can be used) it has the potential to have a number of interesting uses within many industries. The goal is to entice developers to explore the field and see what they can produce and get started with sensor collection. The judges for the contest include such luminaries as Steve Wozniak, Amar Kona of Intel, Tiffanie Robinson of Waypaver and Sheldon Grizzle of SpartanVentures.